Launching a new line of spirits requires both quality product and effective branding. Cooperstown Distillery of Cooperstown, NY, believes it has both. Located less than a mile from the National Baseball Hall of Fame, the distillery opened in 2013 with packaging reflective of America’s favorite pastime. 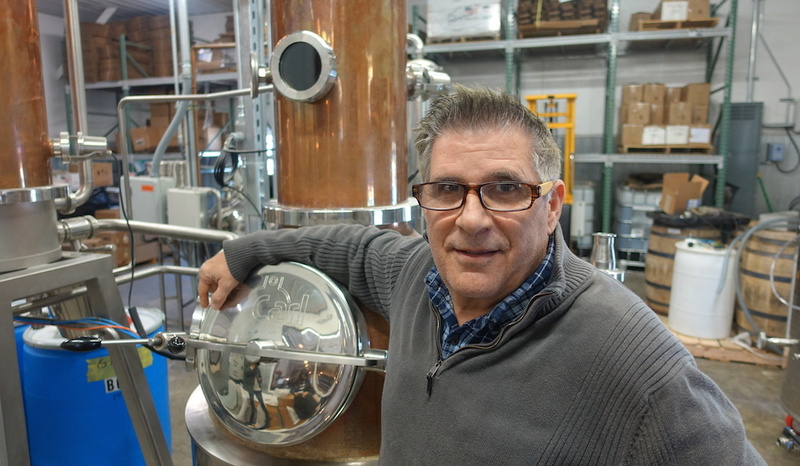 We recently spoke with founder and distiller Gene Marra about Cooperstown Distillery, which produces vodka, gin, rum and whiskey. Beverage Dynamics: Why the Cooperstown theme? Gene Marra: It was the most important factor of our business model when we decided five years ago to open a distillery in Cooperstown, New York. We felt that the synergy and cache from the town afforded us the opportunity to extrapolate the great game of baseball and this historic town into a hybridized version of the business. And we believed that the first person who could build on this strategy of marrying baseball and spirits would hit a homerun. And we did. If you know your history, alcohol — specifically, beer — built Major League Baseball. All the original team owners were beer barons. These guys were smart enough to think they could double dip by selling their beer at their stadiums. Marring baseball with spirits is just another step in the same direction of this long history. BD: The baseball bottles are eye-catching. How did they originate? GM: When we started to work on a novel idea for bottles we thought about a baseball shape. It took a year of R&D, with many samples and lots of mechanical drawings and mistakes. Now we have the only patented baseball bottle for spirits. That was the pillar of our branding. If we could build a business around the baseball bottle, we believed it’d have serious traction. And it has. There’s a lot of immediate shelf presence with that bottle. It’s proven to be our most-recognizable brand. We’ve started a small advertising campaign for it, which we hope to expand and augment moving forward. We also have Beanball Bourbon. It’s the same as our bourbon in the baseball, but cheaper because it’s in a different bottle. Another piece of our baseball branding is Spitball, which we just released. It has an eye-catching label. It’s a serious cinnamon whiskey for adults, as opposed to Fireball. It’s been hugely successful for us. And we have Cooper’s Classic, which goes in a different direction. Its bottle has a classy, old-world, period feel. We didn’t want to be known just as the baseball-mimicking spirits-producer. Baseball has been good to me, but we’re also a dynamic little distillery. BD: What differentiates Cooperstown Distillery production-wise? GM: Personally, I’m not a huge fan of Kentucky bourbons. They’re too sweet. They use 70-to-80% corn. We tend to go a different direction. We look for more creaminess and earthiness. For that I use more rye and wheat in our mash bills. And I’ve been experimenting with oats. We think that oats are the answer to why our bourbon is so great. We love the complexity and added creamy dimensions that the oats impart. We don’t just want sugar and honey in the mouth, and burnt sugar in the finish. We want vanilla, clove, allspice, burnt caramel, crème brûlée and more obscure notes. That’s what you get from the oats. Our vodka we charcoal-filter with a special filter built for us. It’s five feet long and filled with a pound and a half of activated carbon. We think our vodka is exceptionally smooth and delicate. Everything we do, including our gin, comes out of a 28-gallon still. Which is vastly different than what comes out of a 2,800-gallon still. We really feel like we have a Mercedes-Benz still. It’s a better quality, smaller still. And this gives us a steady hand in our all cuts and processes. Kyle Swartz is managing editor of Beverage Dynamics Magazine. Read his recent piece on 7 Whiskey Trends To Watch in 2017.